Everything about Kathmandu is colourful. The stupas are gilded in gold, the temples are bordered with red and yellow, and the Himalayas are a stark white against the soft blue sky. But it was the people more than anything else that made me love Nepal. 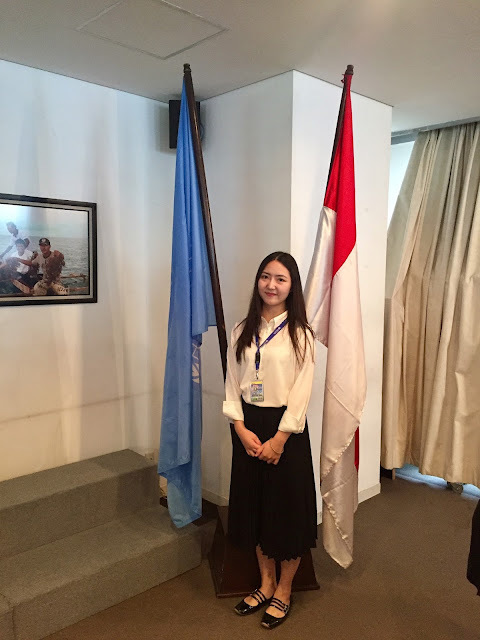 In January, I travelled to Nepal as a Junior Professional Consultant through the United Nations Association in Canada’s (UNA-Canada) International Development & Diplomacy Internship Programme (IDDIP) to work with the United Nations Development Programme (UNDP), specifically with the Democratic Transition Unit (DTU). The DTU assists with Nepal’s democratic transition following the ten-year armed civil conflict between the Maoist rebels and government forces that ended in 2006. My placement was set for six months; however I was forced to leave after four months due to the 7.8 earthquake on April 25. With a B.A. in International Relations from Colgate University in New York, international work and travel has always guided my life choices. I have been fortunate to study in both New York and Venice, live in Nepal, while also calling Vancouver Island my home. 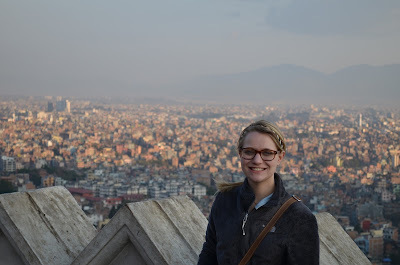 I have loved and appreciated every city I’ve lived, but Kathmandu left a significant impact on me. My full title at UNDP Nepal was ‘Peacebuilding Communication and Knowledge Management Officer.’ As such, I handled much of the Democratic Transition Unit’s communication material, proofread and composed important documents, and wrote project proposals. Although I usually handle culture-shock well, I remember my first day in Kathmandu. My first experience in Asia, my senses were overloaded with the cacophony of traffic and the crowds of people on every street. Of course I was nervous, but I embraced the city and all it had to offer. I made friends, I worked hard, and I explored Kathmandu. April 25, the day of the earthquake, is the only day I remember as vividly as my first day in Kathmandu. I remember when the earth started shaking. At first, it was a low rumble, like there was a very large plane flying low and close to the ground. But as I looked out the window I saw the buildings outside swaying like grass in the wind. Then, the earth erupted. Think of how it feels to be on a boat, rolling with the waves. I was on a boat about to capsize. All my earthquake training – drop! cover! and hold! – vanished from my mind as I watched people stampede from the restaurant. I was stupefied and I certainly did not drop, cover and hold, but merely went to the wall away from people, pots and chandeliers. 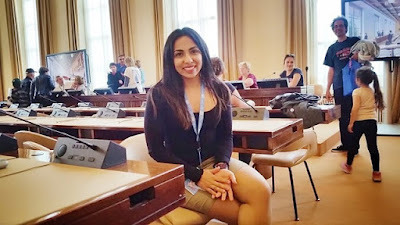 I spent the next week at the United Nations Compound, living in the UNICEF building and assisting with disaster relief. I became the communication focal point for UNA-Canada, relaying critical on-the-ground updates about the safety of other JPCs. I, with some other Canadians, also set up a tent to coordinate the relief teams arriving at the UN Compound. I have to say it was some of the most important and fulfilling work I’ve ever done in my life. Five days after the earthquake, I took a walk with some of my friends. We saw how life was already beginning to return to normal as shops were opening and people were riding their motorcycles down recently empty roads. I was only in Nepal for four short months, so I can’t imagine what it’s like to see such a tragedy occur to your own country, the place where you grew up. Still, there were smiles - smiles that lit up my bleak world on the dark days following the earthquake. It made everything colourful again. You can never predict what happens when you travel abroad – of course, this also pertains to any situation you’re in. You simply can’t predict the future. That being said, I would not trade my experience in Nepal for anything. I learned more about myself than I will ever know and I met the most amazing people. The experience of going abroad is what you make of it. This is the incredible opportunity that the IDDIP provides talented young Canadians looking for international work experience. And nothing, not even the days following the earthquake, can cloud my incredible memories of my time spent in Nepal. By: Anna Kosa, UNA-Canada's IDDIP Programme Alumni.